Your WAN gains the flexibility to use the most appropriate type of networking connection to meet particular business or application performance requirements, switching among them as needed. The popularity of SD-WAN and its adoption is rapidly taking hold in companies of all sizes as they undergo digital transformation. It is an attractive option for businesses that are updating their WAN edge equipment, connecting branch offices, modernising their WAN infrastructure, and aggressively moving to the cloud. The popularity of SD-WAN can’t be ignored – in 2015 the market for the technology was a modest $225m but, according to research from IDC, that’s going to balloon to more than $1.19 billion by the end of this year. And it’s going to continue to grow, hitting $8.05 billion by 2021. The excitement is justified in the era of the cloud and the proliferation of remote and mobile users. These trends are driving tremendous change in WAN traffic patterns and complexity. Understandably, enterprise IT leaders are more determined than ever to use the latest network technologies to meet evolving business needs and support digital transformation efforts. Think about the new applications – many accessible from the cloud – that your business is adopting in a quest for competitive advantage. Consider the massive flow of data generated by employees, customers, partners and vendors within your ecosystem. Companies are already experiencing an upsurge in connectivity requirements at the edge of the network due to mobile, remote, branch, and guest users. It’s likely that your current WAN is the opposite of the flexible, agile, efficient system you need to operate and innovate under these conditions. WAN connections must be more dynamic and that’s creating excitement around SD-WAN as a pillar of a modern, hybrid network architecture. Using your connectivity of choice – private, broadband, mobile – an SD-WAN solution should support active-active links. It also should leverage primary and backup circuits simultaneously – no wasted resources - while supporting failover requirements. In essence, your WAN gains the flexibility to use the most appropriate type of networking connection to meet particular business or application performance requirements, switching among them as needed. The result is cost-effectiveness, reliability, speed and accuracy at the network edge. Concerns about how to surmount some hurdles, such as highly dispersed security architectures, have impacted the transition to SD-WAN. And, Forrester has also found that 18 per cent of respondents to a 2017 survey plan on implementing the technology in the next 12 months, but only 16 per cent of CIOs surveyed say their firms can deliver this in-house, suggesting they lack the necessary skills. I’ve spoken with customers and prospects and a lot have told me they’re actively researching or planning to deploy SD-WAN, echoing the findings of the IDC and Forrester research. We think every enterprise benefits from having a partner that can handle the design, connectivity implementation and deployment issues, not to mention continuous monitoring and maintenance. Some companies that have elected to implement SD-WAN solutions in-house have found deployment challenging. Having a skilled service provider to partner with means you benefit from their experience and best practices. Mo re companies are still researching SD-WAN than have actually deployed the technology. Gartner suggests that SD-WAN has less than 5 per cent of the market today. But there's no doubt that it will become an essential element of the corporate WAN. If your organisation is considering managed SD-WAN solution, here are five things to consider when evaluating a service partner. 1. Fully managed. Choosing a managed SD-WAN solution yields several key benefits. However, for enterprises that elect to deploy a managed SD-WAN service vs. a’do it yourself’ model, it’s important to understand what ‘managed’ entails. Will the managed service provider deploy and manage the solution end-to-end including equipment, networks, SLAs, routing policies? Will IT managers have the control over and visibility into the solution? A fully managed solution should ensure that your organisation has visibility and control over your network, while still taking advantage of the managed services capabilities of the provider. It’s critical for enterprises to carefully consider, compare and contrast the various solutions that managed SD-WAN providers offer to ensure they select the solution best suited for their organisation. 2. Cost effective. The catalyst behind SD-WAN is to efficiently use any combination of public and private network connectivity to lower WAN connectivity costs and maximise WAN usage. Instead of using an Internet or a wireless link in a passive mode as a back-up link to a private link, an SD-WAN solution should let enterprises use both services in an active-active mode. 3. Service Level Agreement. 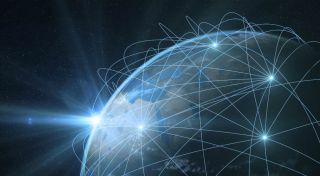 A managed SD-WAN service provider should be able to support a variety of WAN services globally, from private connectivity to Internet and wireless, backed by Service Level Agreements (SLAs). SLAs for network availability, latency, packet loss and jitter are critical in a hybrid network because performance guarantees are not the same as a private WAN. Further, SLAs that extend to SD-WAN Customer Premise Equipment (CPE) is a key consideration given that the repair or replacement time of the equipment is critical to ensuring continued operations of SD-WAN locations. 4. Flexibility. Most enterprises that are evaluating an SD-WAN solution have some need for a private WAN service. The ability to prioritise traffic (Voice and Video over IP, for example) over private links and ensure quality-of-service across applications is essential. Having access to application performance monitoring tools and analytics are foundational elements of an agile hybrid WAN solution. Application and policy-based routing are key feature of an SD-WAN solution. They enable the service to choose the optimal network path for bandwidth and quality of service based on particular application requirement. DPC provides real-time traffic steering over any broadband or private link based on company-defined business intent policies. In the event of an outage or brownout, DPC automatically fails-over to the secondary connection in under a second, ensuring uninterrupted service to end-users. As your organisation transitions to an SD-WAN, which at a minimum includes a combination of private and Internet links, the managed service provider should be able to support these two features and extend monitoring and visibility tools to its managed SD-WAN solution. 5. Tiered Services. SD-WAN requirements vary across business sizes and verticals and even within the same company across applications and locations. For example, a simple overlay might be sufficient to ensure high-speed access to and from retail locations to their cloud-based inventory system, but the retail outlet surveillance monitoring systems may require additional security mechanisms to ensure tamper-proof operations. Additionally, the point-of-sale terminals may require optimised and secure links to ensure compliance with PCI requirements. The managed SD-WAN solution provider that your organisation selects should be able to offer tiered services that support high, low and mission-critical application as well as those running on premises and in the cloud. The real beauty of SD-WAN is that with some solutions, you can start small, with just one site, and try it out before deploying it more widely. Thus, minimising the risk. But don’t just focus on the cost – this isn’t a race to the bottom; it’s a race to drive business transformation and competitive advantage.